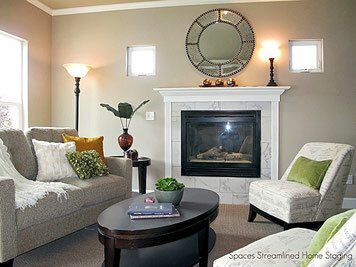 What Our Clients Say - Spaces Streamlined Home Staging, Styling and Organizing Gig Harbor, Tacoma and surrounding areas. At Spaces Streamlined, helping our clients accomplish their goals for their homes is our priority and pleasure, whether it is to sell for maximum profit, redesign for a more appealing space or organize for easier living. Check out these comments from happy customers and see how they were able to benefit from our services. We would love the opportunity to make a difference for you, as well. "wow WoW and WOW! Debra is amazingly talented! The first time I visited her site while browsing on Houzz, I knew Debra was the right designer for my project--her sense of color, scale and balance was evident. But I was living 2700 miles away in DC and needed to get my mid-century home in Washington state on the market. After listening to my needs on the phone, she developed a staging plan and budget, sending me her estimates within a few days. Debra worked and communicated exceptionally well with me, my contractors, property manager and Realtor. Everything she selected for my home (paint colors, furniture, appliances, accessories...) and all the honest, tactful feedback she provided, made this long-distance project a success! As in all things 'design', unexpected delays occurred but Debra handled everything graciously. Update- This house had a buyer the day after listing! It was a real pleasure to meet you and to get your feel for our house. What I especially appreciate is your attempt to use as much as possible the items we already have. It’s amazing to me how you can make a room look sooo much better with just a small object or move. Thanks for offering to come when we’re ready for photos; it's been so helpful. And speaking of helpful, the most wonderful thing you said is that we should try to think of this house as a commodity to sell. That really puts this venture into perspective! This entire process has been a delight! 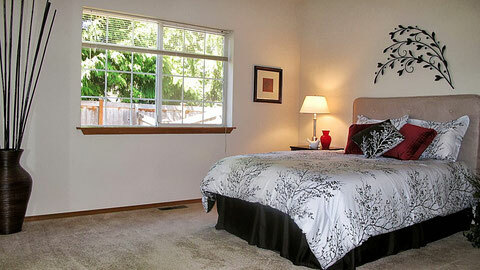 "We are actively involved in the home rental business and are members of The Rental Housing Association of Puget Sound. We are so impressed with the results of Debbie's ability to show off the features of our property. This was just another empty house before Debbie professionally staged it and now it feels like a real home. Debbie is amazing, she knows what a room needs, and easily makes it look spectacular. Keeping our budget in mind, Debbie brought in key furniture pieces, creatively incorporating a couple of existing furnishings and added lots of wonderful accessories to compliment them. Everything was arranged perfectly so that the home shows elegantly. Her hours of hard work will pay off, we are confident that this home will rent promptly. Debbie is a pleasure to work with and we will recommend her business, Spaces Streamlined, to our association and anyone who wants to make the most of their home whether it is for their personal pleasure or for business purposes." Hey it’s JP visiting a house you staged down in Tacoma- I don’t usually do things like this but I just wanted to call and compliment you on one of the best staging jobs I’ve ever seen! Somebody owes you a dinner and a beer! Anyway, just wanted you to know- awesome staging job!" "Hi Debra,I just met the photographer at the condo and my, oh my, it blew me away- beautiful job! Thank you, I just know it’s going to help me sell it for the owner- great job Debra!" "Debra, I had a great time reviewing my home with your expertise, thanks for the great suggestions. I spent this afternoon acquiring some odds and ends per your instructions. My husband and I will be working the next couple of weeks to have the home buyer ready. Thank you again for your time, it was wonderful to meet you.Your suggestions will truly make our home a standout." 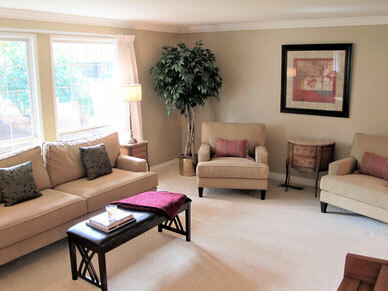 "Debra did an outstanding job of staging our condo. She is very professional but personable. After she had completed the staging and we walked through we thought it looked so good maybe we should buy it...oh no, we already owned it! 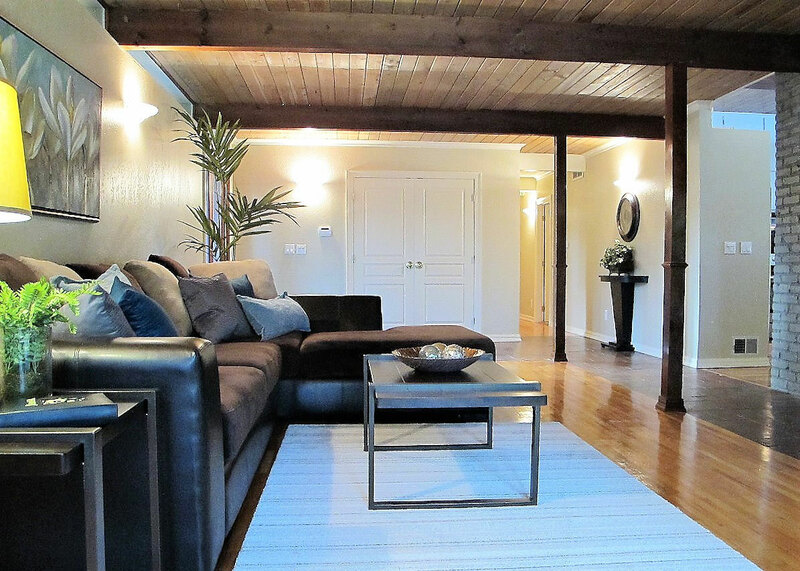 I would highly recommend using Debra as we feel it was because of her that our condo sold." 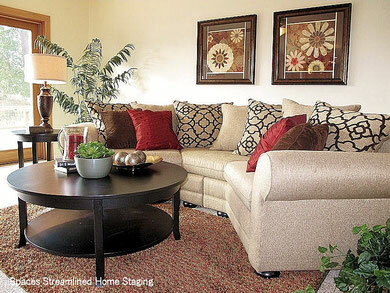 "Spaces Streamlined Staging is a great company. I am so pleased with their work. We had a house that went under contract within 6 days of showing. Debra is great to work with and I have recommended her company to our REAPS group. Thank you." 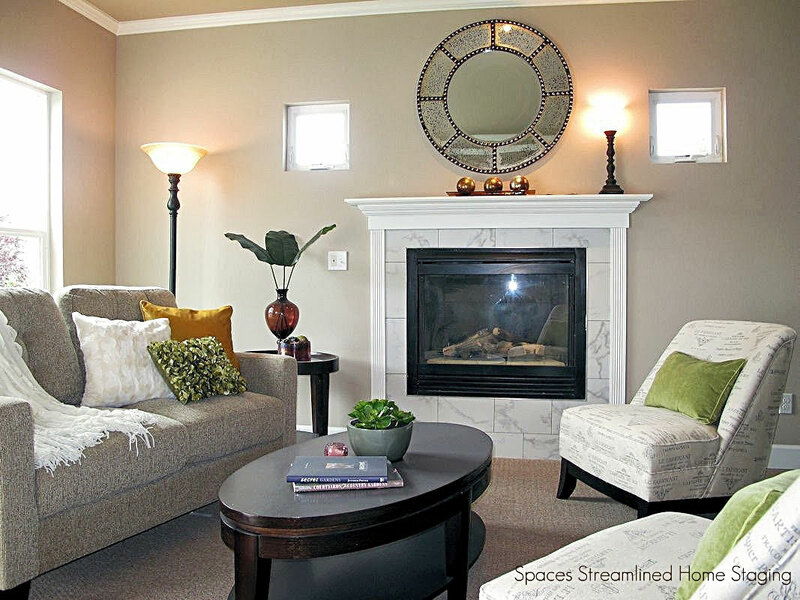 "Having Spaces Streamlined Stage the home was a great idea given to me by the realtor. This was a 23 year old home that was empty. 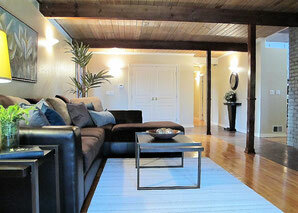 After the staging with furniture and decoration, the house sold within 2 weeks." "I love the new look of my old things! The feeling of walking into each room and not feeling overwhelmed with the clutter is priceless! 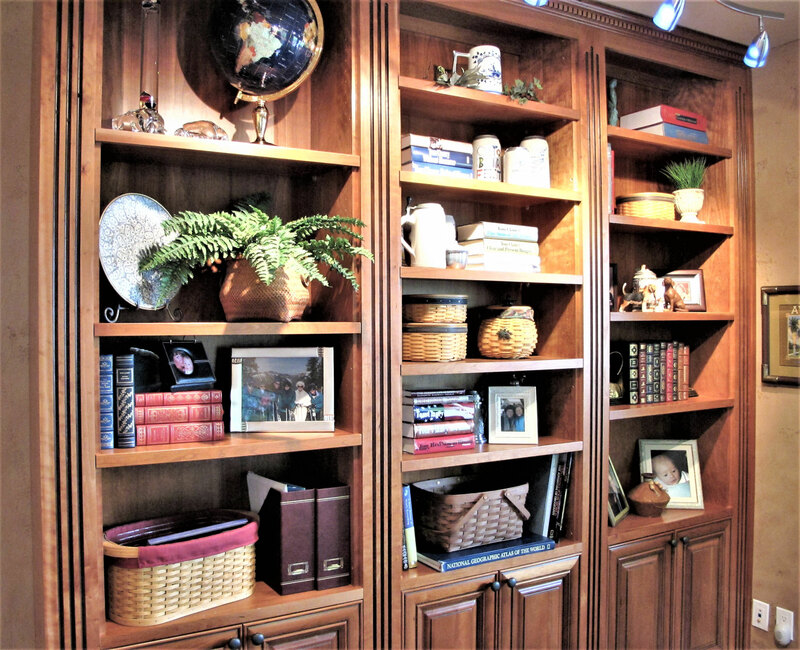 Debbie helped me declutter, rearrange and reaccessorize my living room, kitchen, dining room, home office, media room, master bedroom and bath. She also helped me locate some affordable storage units to house a lot of the family shoes and coats in the mudroom as well as choose a new area rug for the living room. Deb is a delight to work with and she really listened to me and worked with the things that were important to me to keep on display. I would highly recommend her to anyone who is moving in or needs to move on with a life de-cluttered!" 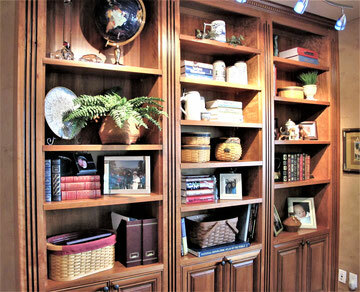 "Debbie, I would like to say that your services are what saved my guest/sewing room from being a total junk room. I had decided it was completely hopeless to try to reclaim it. The progress I made in my own attempts to salvage it seemed to be 1 step forward and 3 steps back. In one single day you rescued the room. You gently gave me the courage to go through each item and make the decisions as to whether it should be kept, given away or simply tossed in the trash. I would have given up long before we got half way through it without your guidance and encouragement. I believe that you went beyond our agreement by quickly sorting through and organizing some other cabinets and a small closet. I was more than satisfied with you and would highly recommend your skills and services to anyone in need of organizing any part of their home." "Debra, thank you for the before and after photos! I appreciate your professionalism and the way you do business. You certainly saved me much time and effort in my move. Thank you, too, for keeping my limited budget in mind when you shopped for me." 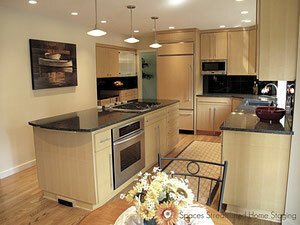 “I retained Spaces Streamlined services to help my mom get a couple of rooms organized as a birthday gift. I can honestly say Debra helped my mom change the way she thinks about organizing and what should be kept, given away or recycled. Her hard work took a huge load off me and I would recommend her services to anyone. Thank you Debra!"